For centuries philosophers have been teasing our intellects with such questions. Of course, the answer depends on how we choose to interpret the use of the word ‘sound’. If by sound we mean compressions and rarefactions in the air which result from the physical disturbances caused by the falling tree and which propagate through the air with audio frequencies, then we might not hesitate to answer in the affirmative. Here the word ‘sound’ is used to describe a physical phenomenon – the wave disturbance. But sound is also a human experience, the result of physical signals delivered by human sense organs which are synthesized in the mind as a form of perception. Now, to a large extent, we can interpret the actions of human sense organs in much the same way we interpret mechanical measuring devices. The human auditory apparatus simply translates one set of physical phenomena into another, leading eventually to stimulation of those parts of the brain cortex responsible for the perception of sound. It is here that the distinction comes. Everything to this point is explicable in terms of physics and chemistry, but the process by which we turn electrical signals in the brain into human perception and experience in the mind remains, at present, unfathomable. Philosophers have long argued that sound, colour, taste, smell and touch are all secondary qualities which exist only in our minds. We have no basis for our common-sense assumption that these secondary qualities reflect or represent reality as it really is. So, if we interpret the word ‘sound’ to mean a human experience rather than a physical phenomenon, then when there is nobody around there is a sense in which the falling tree makes no sound at all. ‘If a tree falls in the forest…’ Image Credit: ‘Fallen Tree’, Photo by Unsplash, CC0 Public Domain, via pixabay. This business about the distinction between ‘things-in-themselves’ and ‘things-as-they-appear’ has troubled philosophers for as long as the subject has existed, but what does it have to do with modern physics, specifically the story of quantum theory? In fact, such questions have dogged the theory almost from the moment of its inception in the 1920s. Ever since it was discovered that atomic and sub-atomic particles exhibit both localised, particle-like properties and delocalised, wave-like properties physicists have become ravelled in a debate about what we can and can’t know about the ‘true’ nature of physical reality. Albert Einstein once famously declared that God does not play dice. In essence, a quantum particle such as an electron may be described in terms of a delocalized ‘wavefunction’, with probabilities for appearing ‘here’ or ‘there’. When we look to see where the electron actually is, the wavefunction is said to ‘collapse’ instantaneously, and appears ‘here’ with a frequency consistent with the probability predicted by quantum theory. But there is no predicting precisely where an individual electron will be found. Chance is inherent in the collapse of the wavefunction, and it was this feature of quantum theory that got Einstein so upset. To make matters worse, if the collapse is instantaneous then this implies what Einstein called a ‘spooky action-at-a-distance’ which, he argued, appeared to violate a key postulate of his own special theory of relativity. 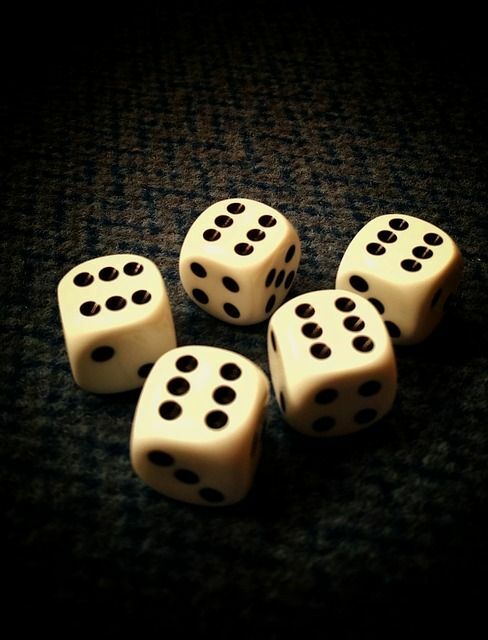 ‘God does not play dice?’ Image Credit: ‘Lucky number six’, Photo by SauLustig, CC0 Public Domain, via pixabay. When Bell devised his famous inequality in 1964 these questions returned with a vengeance. Bell sought a way to discriminate between conventional quantum theory and a whole class of alternative, so-called local hidden variable theories which do not need to assume a collapse of the wavefunction. He deduced a mathematical relationship in which local hidden variable theories predict results that are manifestly contradicted by the predictions of conventional quantum theory, providing a direct laboratory test. Some exquisite experiments performed subsequently proved beyond any doubt that quantum theory, with all its apparent ‘spookiness’, is correct. In 2003, English physicist Tony Leggett took the debate to another level. Local hidden variable theories are characterized by a couple of key assumptions. In one of these, it is assumed that the outcome of a measurement on a quantum particle can in no way be affected by the setting of the device used to make measurements on a second particle with which it is ‘entangled’ (in other words, both particles are described by a single wavefunction). Leggett chose to drop this assumption to see what would happen. He went on to deduce a further inequality. For a specific combination of measurement settings, quantum theory predicts results which violate this inequality, implying that the outcomes of measurements on distant particles can be affected by some unspecified non-local influence of the device settings. The result we get depends on how we set up another device, even though this may be halfway across the universe. Spooky, indeed. The results of experiments to test Leggett’s inequality were reported in 2007. Once again, quantum theory was proved to be correct. This kind of result cannot be reconciled with any theory which ascribes fixed properties to the particles prior to measurement. This means that we can no longer assume that the properties we measure necessarily reflect or represent the properties of the particles as they really are. These properties are like secondary qualities – they exist only in relation to our measuring devices. This does not mean that quantum particles are not real. What it does mean is that we can ascribe to them only an empirical reality, a reality that depends on our method of questioning. Without a measuring device to record it, there is a sense in which the recognisable properties of quantum particles such as electrons do not exist, just as the falling tree makes no sound at all. Jim Baggott's many books include Higgs: The Invention and Discovery of the 'God Particle', Origins: The Scientific Story of Creation, and Beyond Measure: Modern Physics, Philosophy, and the Meaning of Quantum Theory. He started his career as a lecturer in chemistry at the University of Reading. He went on to work with Shell and then as an independant business consultant and trainer. 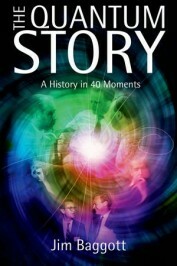 His new book is The Quantum Story: A History in 40 Moments. You can read more about OUP's science books here. I think my brain just exploded. But I’m not really sure . . . it may have been an illusion — caused by my perception that it exploded. Can a brain witness its own demise? Anyway . . . great article. I am obsessed with this. It kind of throws your whole way of life out of order. If reality is and illusion, then can we alter the illusion to better suit us? For example, if I wanted to, could I be a squirrel? I don’t know if it mentioned anything about that in there, I couldn’t catch all of it. But if so, then maybe the insane aren’t really insane after all. Perhaps that is their reality. If Big Brother says 2+2=5, is it? LOL! I just finished re-reading 1984. Right now, I’m reading The Tao of Physics, and the chapter that I’m on correlates to this article. Astute observation (if you’re aware of something, you’re more likely to see that something)? Coincidence? Synchronicity? Quantum entanglement? Coo-coo-ca-choob. I am not a physicist, but my understanding is that the Leggett-Garg equality doesn’t violate macrorealism per se, but only macrorealism combined with noninvasive measurability. So macrorealism could still be true. The dichotomy between physical properties as real and physical properties as illusion is a false one. I keep coming back to Kant for this: “If we treat the physical world as appearance, we must investigate the reality behind the appearance.” Instead of being an ultimate reality or an illusion, consider physical properties as incomplete information about the thing-in-itself. Just as a shadow conveys some but not all information about the dimensions of a 3-d object, physical properties convey some but not all information. The best mathematical tool to work with here are projection operators. A shadow is a projection of an object, or a projection operator acting on the dimensions of an object. When we do a double-slit experiment and find the wave nature of the electrons, we are observing a projection of the thing-in-itself. We get the wave nature in the projection, but other information is lost, like the position of the physical particle. @Zathras – Considering physical properties as incomplete information presumes that they are in fact able to be complete. Isn’t this substituting one dichotomy for another? I’d suggest that the investigation itself is all that’s needed …that is; the investigation ‘is’ our reality. Such questions only boggle the minds of anthropoids because we tend to be so thoroughly anthropocentric in a Universe which is anything but anthropocentric. Why should the existence or form of anything rely on detection by a human, whether directly or indirectly through some mechanical extension of limited human capabilities? The sound of a falling tree is experienced in countless ways, regardless of whether the sound is defined as vibration of matter or by some form of detection of such vibration by human or by non-human “detectors,” whether living or non-living (by our standard concepts). Likewise, all manifestations of matter (and anti-matter) – form, non-form, presence, influence – are surely experienced, “known” and “understood” in countless ways by various “beings” (ways of being) of the Universe, whether known or unknown to us. It is true that we, both individually and collectively, are incredibly significant in the scheme of things in this Universe. Yet we simultaneously are also incredibly insignificant, and any attachment to our significance is a delusion that arises from our perceived illusions. This doesn’t mean we can’t or shouldn’t bother to count, measure and describe all that we can “get our hands on” and try to work with what we think we’ve got hold of. But it does mean we need to constantly be aware that the minute portions of the Universe we think we have a grip on offer us precious little knowledge, let alone understanding, of the enormous “creature” whose tail hair we’ve barely touched. There are, however, means other than through our curious minds by which we can learn to “listen” to the “purrs” and “growls” and experience the “feel” of a presence that reveals truths that can open the way to greater understanding and wisdom. How do we know the tree in question actually fell if no one was around to see it? This article still did not answer the question succinctly. Here would be my way of addressing this question. If no one is in a part of Siberia during a particular day, does that mean there was no daylight in that part of Siberia? Or, if we look at the Weather Channel and notice that satellite info shows it to be raining over Mt. Whitney, but no one is on Mt. Whitney, does that mean that there is no rain on Mt. Whitney? The problem with the question is not that someone is available to hear a sound, or see a sight, but whether humanity is so central to the events of the natural world. The hubris would be to say it is so. If a tree falls (if I have an idea) and nobody hears it (and nobody listens/no forum exists for me to express it/I don’t express it) does it make a sound? (do I make a difference?). Of course it makes a sound, we are so arrogant a species as to think that the whole universe revolves around our body parts; We perceive the sound with our ears, but whether we hear it or not it still makes a sound. That’s how avalanches can start, that’s how a sonic boom can shatter windows. The whole thesis is allegorical. If I have an idea and don’t express it, or cannot express it, or am forbidden to express it, then of course it’s as if I’ve never spoken at all, and that’s what it’s all about. If I’m ignored, then even if I shout it from the rooftops, it’s as if I’ve said nothing. But if I’m noticed for what I’ve said, good or bad, then I’ve made a sound. If the impact of what I’ve said is earth shattering, also good or bad, then I’ve made a very great sound, enough to “shatter the earth”. the question being asked is, if a tree falls and nobody hears it, does anybody hear it? (duh! we just said Nobody hears it, so why ask the question?) The reasoning is that the sound is defined as the action of vibrations on the cochlea of the ear, so if there is no cochlea around to hear it, then of course nobody hears it. This is one of the most stupid questions – it’s been pondered as a great philosophical conundrum of the ages, I think originally it was asked tongue-in-cheek, in jest! The question is not a rational question and anyone who approaches it with mechanical explanations (which conclude the tree does make a sound), do not understand where the question is coming from. Consider this – if there was no conscious life, would the physical universe still exist? I have real problems in answering that question but tend to the belief that the physical universe would not exist in those circumstances. if a radio station transmits from the forest and no one has their radio turned on is there still sound? This question all depends on your definition of this type of sound. Compression waves wafting through the air do not become “sound” until they react on an ear drum (human or animal) which converts the waves into electrical impulses that the brain interprets as a sound. Until that happens, you’ve got nothing but waves. The sound is not out there, it’s in the recorder, the brain. The wave itself is not sound. So, the falling tree does NOT make a sound, only a compression wave. In the situation that there is no person in the area to hearing it. These are purley vibrations. In the case a squirrel was to be around or a worm that could feel the vibrations, they would transfer the vibrations to sound. Or they would have to be deaf. In which case there wasn’t any sound either! Yeeooow, Peter Machado is absolutely correct, the question is some kind of joke. Of course the tree, if it does indeed fall will make a sound other creatures will respond to, they have ears don’t they? Now there are of course common sense exceptions to this rule, like a magnitude 5 hurricane drowning out the sound it is making. as for the Aug. 14, 2014 comment David made on the existence of the universe without the consciousness, please have you lost all consciousness of whats going on here. all living creatures are conscious of their environment enough to survive. Dave’s answer smacks of Godism. I think this eludes to a much bigger understanding of the physics that drive the world. So often science and religion stand opposed, and we as people use our 5 senses (6 if you count intuition) to investigate the universe, yet psychology shows that every human being also struggles with this hidden element called spirituality. I have come to deduce through the arguments of minds superior to my own that the universe is not at all what we think the universe is. Humans have been designed to perceive it through the sense, but the universe itself is just a energy wavelength. The best analogy would be that the universe is choir of music and we can perceive only some piece of the concerto, and than only the ones we attune ourselves to listen to. does a tree fall in the woods ? If you say there was no sound if no one is present then you also have to say that there was no forest. The perception of the trees and their color and shape are all interpretation of the mind. Therefor if no one is there to notice there is no tree and no forest. The answer is relatively simple. Sound is a function of hearing. When the tree falls it sets up vibrations in the air. If those vibrations reach an ear they’re interpreted by the brain as sound. Sound is dependent on perception. The tree and forest exist regardless of being perceived. Sound, on the other hand, exists ONLY if perceived. If a light shines in a dark room and no one is around to look at it, is it still bright? So is Frank really saying that sound exists only in the imagination of the imaginer? Yes, sound is heard as a purely internal thing (it is only inside our heads), it is the brain decoding complex pressure wave data into something we can make sense of. For example can a deaf person hear?..NO! Of course not….Why? Because their hearing or ability to decode pressure waves into what WE call sound is either broken damaged or non existant. Can you hear all the music news and chat pumped out by all of the radio stations that are broadcasting radio waves through your body? NO!… Why? Because human brains do not have built in radio receivers that’s why. Can you hear all of the mobile phone conversations passing through your body?…NO!…Why? Because the human brain does not have the microwave receivers etc required to receive and decipher the data that’s why. 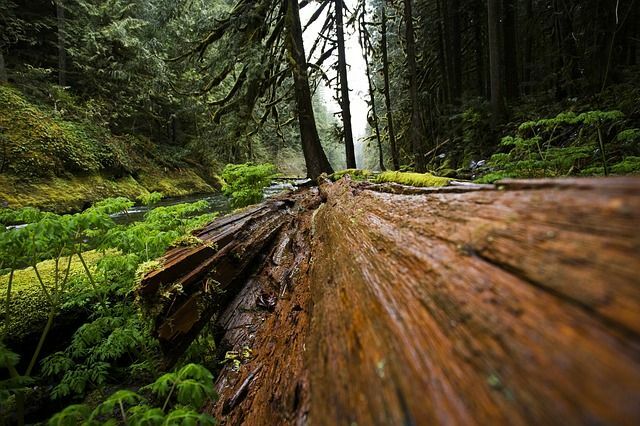 So If a tree falls in the forest and there is no one there to hear it does it make a sound…NO!…Why? Because sound exists only in the imagination of the imaginer! The word “soundwaves” IS the human description for the INTERPRETATION of pressure waves, Not sound waves (as they do not exist) only pressure waves exist. For example do insects with antenna hear? Or do the just feel vibrations? Are vibrations sound?..NO! The proverb/ question could mean many things however for me it poses that the forest is a community, and the tree is ourselves. The ‘nobody’ is consciousness and the ability/ thought or desire to communicate. “Sound can be viewed as a wave motion in the air or other elastic media. In this case, the sound is a stimulus. Sound can also be viewed as an excitation of the hearing mechanism that results in the perception of sound. In this case, the sound is a sensation”, with such a broad spectrum of possibilities this question does not have a right answer; We could discuss the existence of sound, the existence of a tree and its motion, our existence, mater, and of the universe itself. After the question being laid in this faction, however, we are accepting a common framework for debate. We are accepting a rational common ground for understanding the meaning of the words and concepts of “tree”, “sound”, “nobody”, “listening”, and also of space “there” and time “when”. We are implicitly accepting one level of reality that cannot be dismissed by examining separately the terms of the proposition. The question needs to maintain its integrity. to being answered binarily-yes or no. This being said the answer still needs to be conditional and connected with other questions that allow to define the terms of the proposition and reduce the relative uncertainty to zero. This process allows to know the exact terms of the question- without that, all the answers can be wrong. Without the right question being made we cannot have the right answer, and this question is too short to ambiguous and incomplete to be certain. If responded directly this cannot be accepted as a serious question. Another side of it, and maybe the source of its appeal is that there is no right answer unless you made other questions and debate other aspects like existence, reality and the human condition as we are. just heard a song it said “run away to a world we can design” what if we can really design what if it is all an illusion that we could create then once we created it froget about it and then when we have finshed that creation simply to go make another one. It would be a reality that we belived in what if we thought one person was mad. But they were really just living there own reality and we ours I know this does not quite fit in with philosphy I mean it does a bit but really what if it really is all a reality. If i sing a song and no sound recording device was there to capture it. Did i sing a song? Ive thought about this question for a very long time. A few years ago I realized what it actually means. I believe its a metaphor. If nobody was around to percieve the sound then it minds well have never happened… which is why we are here in the universe. To percieve and enjoy it, if no intellegent life existed in the universe is it really there? Yes and no, yes because physically it exists and no because its existence isnt perceived so it makes no difference if it exists or not without perception. So in a sense each an every one of us GIVES this universe meaning.